Brussels (AFP) - The EU struck a compromise with the Netherlands on Thursday to save the bloc's historic association pact with Ukraine that was sealed over bitter Russian opposition but then rejected by Dutch voters. European Union leaders gave Dutch Prime Minister Mark Rutte special pledges limiting defence commitments to Ukraine, and saying that the accord does not entail future membership for Kiev. "It wasn't easy, it wasn't pleasant, but it is necessary, because it ensures that the EU can continue to form a united front against destabilising Russian foreign policy," Rutte said. "This decision is important because it sets out once and for all what the Association Agreement means and -- above all -- what it does not mean. After today there can be no misunderstanding on that score." 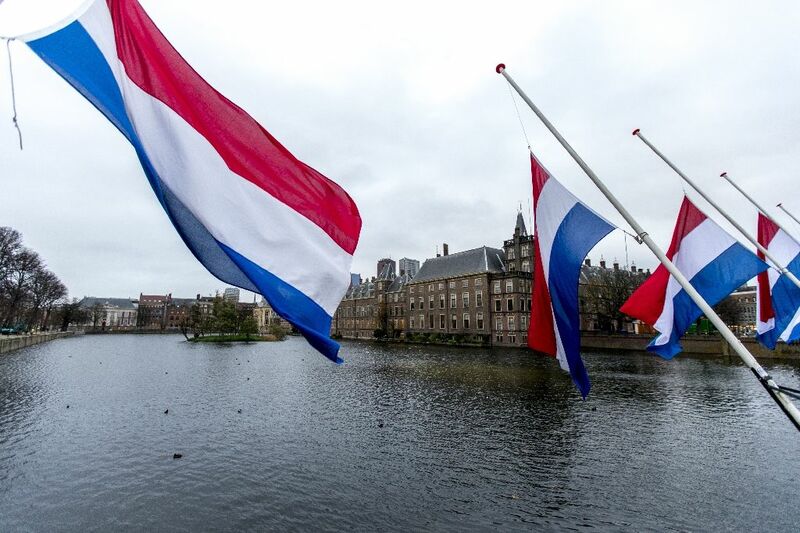 Officials had warned that failure to reach a deal, which should allow the Netherlands to become the final EU nation to ratify it, would have been a victory for Russia and its involvement in the Ukraine conflict. The 28 EU leaders agreed a special statement saying that the accord "does not confer on Ukraine the status of a candidate country for accession to the Union, nor does it constitute a commitment to confer such status to Ukraine in the future". It also says the pact "does not contain an obligation for the Union or its member states to provide collective security guarantees or other military aid or assistance to Ukraine". 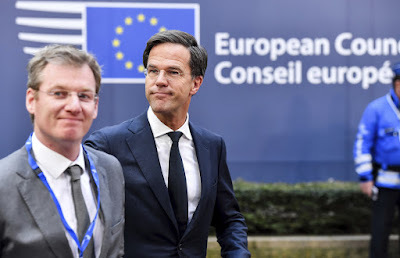 Rutte had warned earlier that it would be the "biggest ever present" for Russian President Vladimir Putin if the EU-Ukraine cooperation deal was torpedoed by growing eurosceptic opposition in the Netherlands. EU leaders separately agreed at the summit to extend economic sanctions against Russia over the conflict in Ukraine for another six months until mid-2017, officials said. The EU agreed the cooperation pact and an associated free trade agreement with Ukraine in 2014 after pro-EU protestors ousted Russia-leaning president Viktor Yanukovych who fled to Moscow. 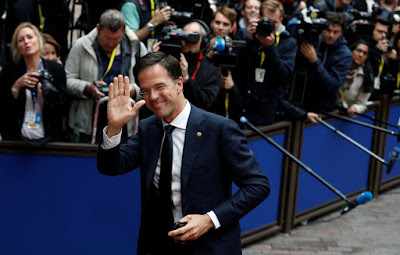 But Dutch voters rejected the deal in April on the grounds it opened the door to Ukraine's membership of the bloc and amounted to a defence guarantee for a country already embroiled in bloody conflict with Russia. Ratified by the other 27 EU member states, the agreement needs Dutch endorsement to come into full effect or it will have to be withdrawn. President Petro Poroshenko has committed Ukraine, long-ruled from Moscow as a Soviet-era satellite, to a future with the EU and the accord was widely seen as paving the way to future membership. He also wants the country to join NATO, a move Putin has made clear would be completely unacceptable and force Russia to take retaliatory measures. The possible failure of the accord has stoked growing fears and anger in Ukraine, with many complaining that the EU is breaking its promises of closer ties. 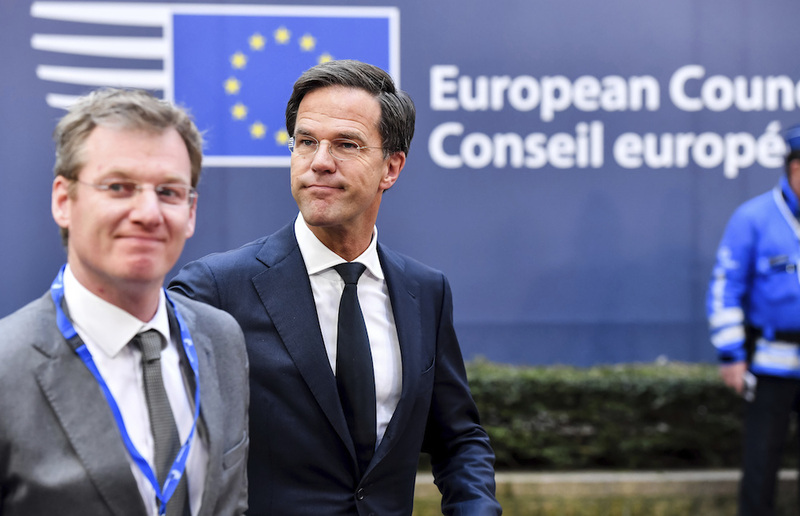 Rutte, who faces elections early next year with populist and anti-EU sentiment on the rise, previously warned he would have no option but to drop the Ukraine pact if he could not get satisfaction in Brussels. Officials had said EU leaders would do their best to help him but there had been concerns the pledges could amount to changing some of the bloc's treaty obligations, a no-go area. "These (pledges) are of course not good but seen as what is necessary," an EU official told reporters on condition of anonymity.